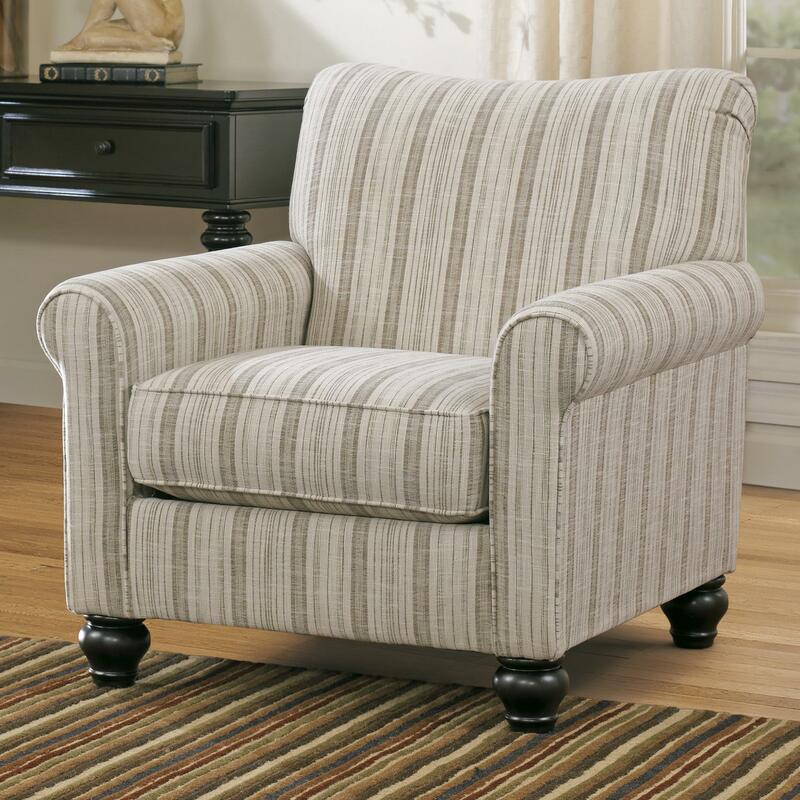 Transitional in style, this accent chair adds instant character and comfort to any living space. The neutral tones of the stripe fabric, sock rolled arms, and turned feet will complement your decor. The chair's loose seat cushion and tight back provide support to help you relax. The Milari Transitional Stripe Accent Chair by Signature Design by Ashley at Michael's Furniture Warehouse in the San Fernando & Los Angeles area. Product availability may vary. Contact us for the most current availability on this product. The Milari collection is a great option if you are looking for Vintage Casual furniture in the San Fernando & Los Angeles area.